CD reviews: "El Otro Lado de Mi" and "Come As You Are"
Two new albums from Latin American artists show that stateside pop is probably about to get a whole lot less native-born. Soraya does for Colombian music what Maná has done for Mexican music: Take her country's traditional sounds, mix them up with large doses of rock and pop, and produce something that is both true to her heritage and accessible to an international audience. Like Maná, Soraya sings primarily in Spanish. Gifted with a voice as rich and luxurious as her country's best coffees, Soraya's latest album stands with the best pop music anywhere. As instantly likeable as Norah Jones, chock full of songs as easy to remember as any hit by Avril Lavigne or Kelly Clarkson, "El Otro Lado de Mi" ("The Other Side of Me") is understandably a best-seller on the Latin charts. But even if you don't speak a word of Spanish, it won't matter. Soraya's radio-friendly music will remind Anglos of the height of '70s pop-folk in this country  early Bonnie Raitt, prime time Fleetwood Mac, Heart at their best. 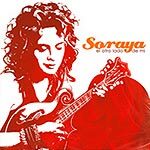 Lots of great guitar and driving rhythms fill out Soraya's 11 compositions ("Llevame" is also presented in English as "Lead Me.") And with that voice of hers  well, go to Amazon.com and check out the sound samples of "Ser," "Llevame" or the title track and then tell me you're not absolutely smitten. Soraya writes and performs smart, intelligent pop songs that are breezy enough to get stuck in your head the first listen, with enough depth that you can listen to each dozens of times and still find something new each time. Sabrina Barnett is best known as a fashion model  since emigrating from her native Haiti as a kid, she's established herself as one of the top in her profession: a super model. 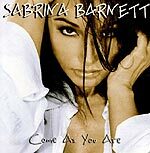 But unlike other models (and not a few actresses) who've tried their hand at singing only to slink away in shame and degradation, Barnett shows a real flair for pop music. She wrote or co-wrote most of the songs her, and they all have a confident, strong and accessible sound that is immediately likeable. "Everyway," "Bittersweet Angel" and "Look What We've Become" are hypnotic bits of power pop that could have come from Gwen Stefani. The title track is a traditional love song that succeeds in equal parts due to its stunningly lovely melody and Barnett's expressive vocals. If there's a complaint to be found here it's that there are almost no traces of Barnett's native Haiti. Given that half-island nation's rich musical tradition, one that rivals Cuba's and whose earlier emigres had a huge role in shaping New Orleans' role as America's musical capital  well, Barnett could have done worse than dipping into her cultural heritage. As Soraya shows so well on her latest album, one can create music as accessible as anything Motown, Tinseltown or Music City have produced while staying true to one's own culture. Still, right off the bat, Barnett has shown herself a master of the pop idiom  with a command of the music that rivals Mariah Carey's, and a set of songs better than Whitney Houston has yet found.